As a longtime educator and instructional tech coach, I have embraced ePortfolios as a valuable tool for documenting learning over time, self-reflection, goal-setting and growth. An ePortfolio is a collection of student work that is used to document student effort, progress, and achievement over time. Students become actively involved in their own learning as they engage in goal setting, decision making and self-reflection. ePortfolios are powerful tools for authentic assessment . ePortfolios can be an extremely useful tool for both formative and summative assessment at different stages of the learning process. Dr. Helen Barrett has been researching strategies and technologies for ePortfolios since 1991. She outlines a developmental process to successfully implement ePortfolios by progressing through 3 levels. As I’ve explored the use of many viable solutions for digital ePortfolios for a decade myself, I have found Dr. Barrett’s process to be extremely helpful for successful and sustained digital Portfolio management over the course of a school year. 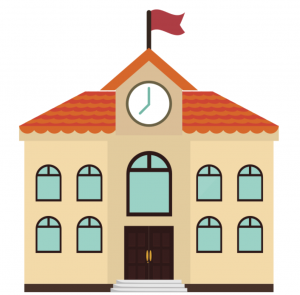 Of particular importance is to recognize that students and teachers need time to develop skills and introduce the process into the classroom workflow at each of the stages before progressing to the next. ThingLink is a great tool for creating ePortfolios because students can maintain their own ePortfolios easily and quickly. This keeps the focus on the learning, reflection and growth, not on the technology. Here is how Dr. Helen Barrett’s process aligns with ThingLink as an ePortfolio tool. Students can use a mobile device to simply snap a picture of an artifact to demonstrate learning and add it to their own ThingLink Portfolio Channel, which is a collection of interactive images. As a bonus, students can also capture learning as it happens in the classroom through video and add it to their ePortfolio channel. After students have successfully managed the routine of collecting artifacts in their ThingLink Portfolio Channel, they can begin to reflect on their learning with a tap or the click of a mouse. Students can add tags with text or media to revisit the learning experience and explore concepts more deeply as they document their own learning. Since ThingLink works across platforms and mobile devices, student reflections can become a regular part of their learning routines. Reflections can easily be added while using any device, even without wireless if using the free mobile app for iOS or Android. As an added bonus, teachers can add tags with feedback on their students’ artifacts, providing powerful opportunities to personalize the learning and connect with students. When students are ready to take on the final level of ePortfolio implementation they can easily sift through their channel and ongoing collection of artifacts for review as they set goals and direction. At this point, educators might want to consider the use of two ePortfolios, suggested by the work of Dr. Helen Barrett. A working ePortfolio: As students collect all of their artifacts consistently throughout the year, they might want to consider their ePortfolio channel to be a working ePortfolio, or collection of artifacts to choose from to develop fully for presentation. Whether you decide to have a working ePortfolio and a presentation ePortfolio or you stick with one, ThingLink channels support the presentation process well. Channels can be rearranged easily with the free app to organize ePortfolios by theme or to demonstrate growth in one area. Students can take a closer look at their artifacts add additional tags with rich media to demonstrate growth in target areas as they progress throughout the year. Students can even replace background images on slides to polish their collections and prepare them for presentation, while the links remain in tact. There are many great ways to present a ThingLink Portfolio, ranging from simple to advanced, depending on your comfort level with tech and the age of the learners. 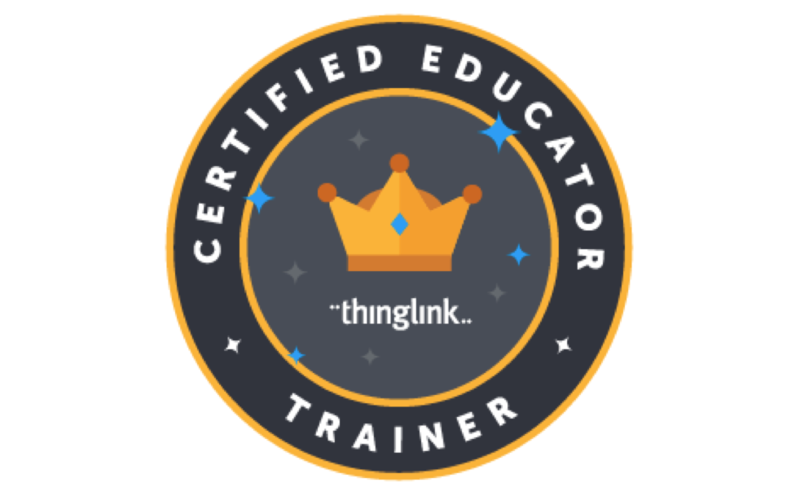 Because ThingLink is a flexible tool that integrates beautifully with a variety of powerful 3rd party tools, it will grow with teachers and students as they become more tech savvy and expand their tech toolkits. Here is an example of one interactive image within a student portfolio that is simple, yet powerful. This is a great way to use ThingLink ePortfolios as a formative assessment tool. This interactive images above certainly documents learning, progress and growth and it is easy to see how this type of portfolio follows the process from storage to reflection to direction. When students are ready for the presentation aspect, they can choose to take advantage of the “replace image” feature to remix their own content and highlight a learning goal. This is optional, of course. Simply click the link below any ThingLink EDU Premium image and replace the old image with a new one, keeping the tags in tact. The great news is that a ThingLink Channel is portable. A student portfolio channel can be viewed in full screen on the ThingLink site, or It can be embedded in a blog, website, or 3rd party tool that supports embedding. If your Learning Management System (LMS) doesn’t support embedding, you can add a link to an ePortfolio channel for easy access. Here are a few ideas for discovering a presentation method that works for you and your students. Share student ePortfolios with parents and stakeholders via a link in an email or through your learning management system. Embed an ePortfolio channel into student blogs to provide a place for the published ePortfolio along with a personal written narrative. Students can focus on any one artifact by embedding it in a post, or they can reflect on a series of artifacts. Student blogging is an effective way to take the learning to the next level, while focusing on writing for an authentic audience. On a computer or Chromebook, use a simple screencasting tool such as Screencast-o-matic. On a mobile device, use the web browser feature in Explain Everything to pull up the live ThingLink Portfolio. Combining two or more apps to utilize combined features is commonly referred to as App Smashing. Explore this interactive image to learn more about smashing these two apps. Access to the camera on a mobile device with the free ThingLink App for iOS or Android is the best way to support the ePortfolio process with ThingLink. While this is obviously a perfect match for the 1:1 iPad classroom, ThingLink ePortfolios can be maintained with less classroom technology because students can start a ThingLink on one device and easily continue working on another device to continue learning. I encourage educators interested in adopting the ePortfolio process to try ThingLink as your tool and enjoy the freedom to work on any device that’s convenient at the moment!